A professional high tech mascara. Its creamy and ultra soft texture makes it really comfortable and easy to apply. The special double comb brush makes the lashes curled, separated and extremely long, for a true panoramic effect. PRIMA VISIONE with double comb brush: The product must be applied from the roots of the lashes towards the tips with zigzag motion with the short comb side of the brush. For the second step, all lashes must be combed from the roots towards the tips with the long comb side of the brush, for full length and panoramic effect. Gives elasticity and quick drying. Antioxidant and anti free radical action. 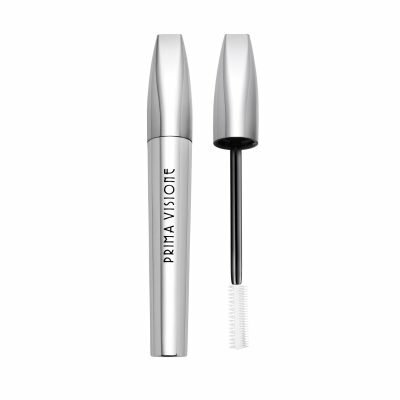 This natural active ingredient nourishes, softens and protects the lashes structure.